Perfect for any gathering whether you’re hosting a party, picnic, wedding or catering an event, a disposable table skirt can instantly class up any table setting. 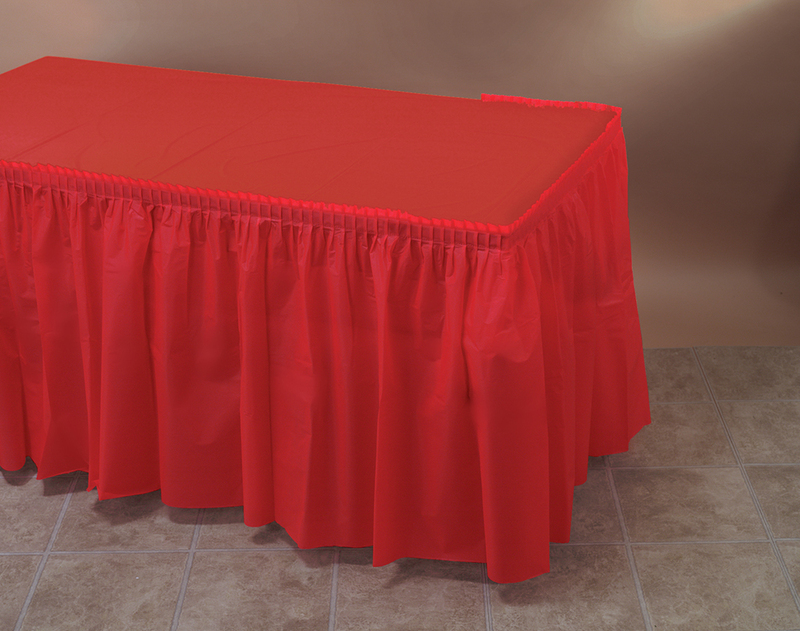 They are made to easily hide unsightly tables and aid in a quick and painless cleanup. We offer the classic white and black colors perfect for formal settings, as well as blue and red for more vibrant events.